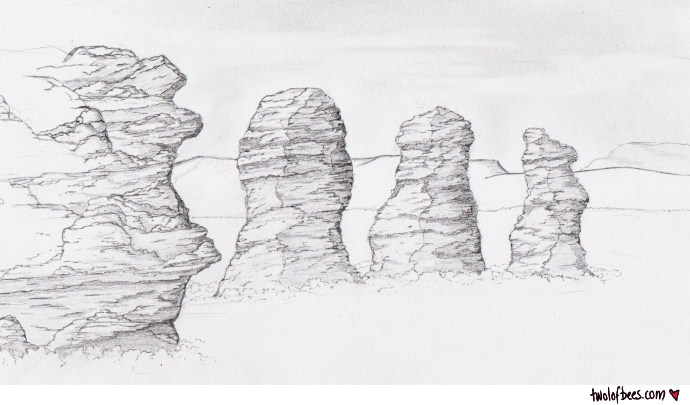 Last year when we went to Katoomba, I sketched a vague outline of The Three Sisters to sketch later. This afternoon, I finished that sketch. As with most of the sketches I do this way, this one isn't very accurate. Think of it as "How The Three Sisters look in my mind."